It's Christmas in July! Not that you could tell here; it's 100 degrees outside. 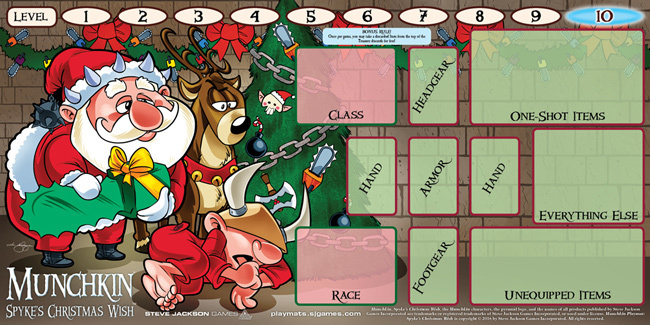 But look at all this Munchkin Christmas-themed gear available from Peachstate Hobby Distributors! What's a gamer supposed to do with all the Munchkin gifts they get during the holidays? 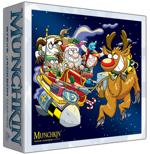 Store them in a Munchkin Christmas Monster Box, of course! 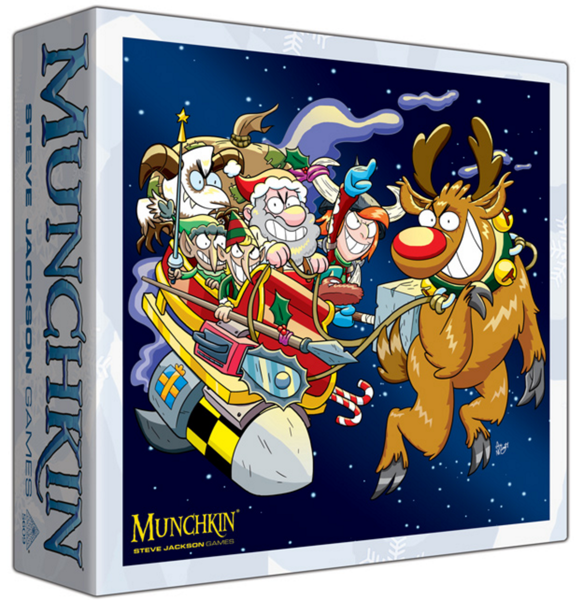 Featuring a full sleigh of art from Ian McGinty, this wintery receptacle holds over 2,000 cards, plus Dungeons, Seals, and other accessories like Kill-O-Meters. This box has so much storage that Santa is thinking of trading in his sack! Talk to your friendly local game store today about preordering this holiday haul of accessories!